Popular reality show Bigg Boss season 11 will witness it's fifth week's Weekend Ka Vaar episode tonight. The show has seen it all just in the first month of the show. Fights, arguments, drama, violence, running away from the house, torture and what not, the fans of the show have seen it all. 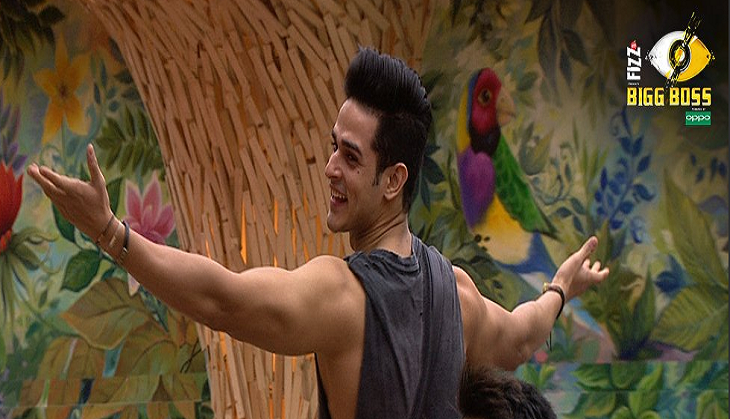 The fans of the show got a real shock when a contestant Priyank Sharma of Splitsvilla 10 was thrown out of the house for physically hitting a co-contestant. But they were releived when the makers of the show got him back on the show as a wildcard contestant. But soon after he re-entered the show, a lot of buzzes went around him. He even landed himself into legal trouble when he exposed Arshi Khan's Goa Pune 'kaand' on the television infront of everyone. Later, Arshi Khan's publicist sued him for bringing up fake controversies and degrading Arshi's image. After that he came into controversies when Arshi Khan during a conversation opened up in detail about the time when Priyank Sharma tried to kiss her in the house. And yet again, he was the talk of the house. A video of a footage has been going viral all over the internet in which Hina Khan is seen talking about Priyank's secret girlfriend. While everyone knew about Priyank's at present girlfriend, Divya Aggarwal with whom he was seen in the MTV's reality show, Splitsvilla 10. But now, another name has come up of her ex-girlfriend who is at present in US. Check out the video in which Hina Khan can be seen talking about Priyank's “secret gf” to Hiten Tejwani.